The technical and nutritious value of functional ingredients in bakery. More than 50% of Americans worries about the sugar levels in their sweet/ nut-based spreads. Almost a third of the English adults would eat more desserts if these were low-fat. 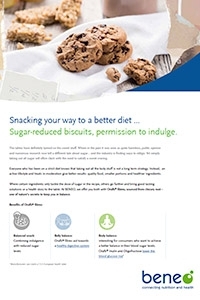 Just under 60% of Europeans finds biscuits with less sugar appealing. Add BeneoPro VWG in bread recipes to optimize dough properties, increase the bread volume and improve its crumb texture. Go for a source of protein claim with BENEO’s rice-based or wheat-based protein and meet the latest trend. 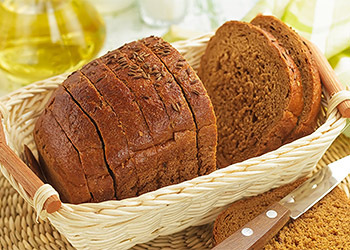 An unique combination of BENEO rice starches and flours ensure good volume and fine crumb structure in gluten-free breads, securing a high quality product with non-sticky bread texture and a pleasant taste. With PalatinoseTM in the coating of a donut glaze (or icing), the quality (e.g. less sticky) is improved and the shelf-life of fresh and frozen donuts can be increased. People preferring white bread will love your fibre-enriched version with Orafti® Inulin as it does not change the colour of the bread texture usually seen with wheat fibre or bran. Sneak in a fibre claim thanks to the invisible property of our Orafti® Inulin. The cakes are deliciously soft and have an attractive crust colour. On top, they are fibre-enriched! High quality, gluten-free cakes thanks to an unique combination of rice flour & starches. Bake a nice tasting cake with good volume, soft texture & perfect colour. 30% sugar reduction can be achieved with Orafti® Oligofructose or Orafti® Inulin, as it easily takes over the texturizing role from the replaced sugar. With our Orafti® Inulin, fat-reduced cakes are easy to make. Also its sensorial properties are ideal: neutral flavour and no aftertaste ensure a light, yet indulgent treat. As a bulk sweetener, our Isomalt takes over the texturizing role of sugar in cakes and has a pleasant sweetness on top. 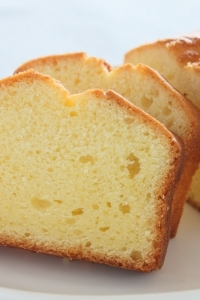 Recipe: gluten-free pound cake with rice flour. No added sugar biscuits with Isomalt as a bulk sweetener. It takes over the texturizing role of sugar and has a pleasant sweetness. Isomalt is non-hygroscopic resulting in good manageable dough and very crunchy biscuits. 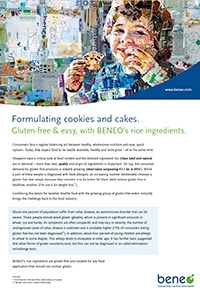 Uplift your gluten-free biscuits to a high quality standard with BENEO rice ingredients. A unique combination of flour & starches from rice provides appealing gluten-free biscuits with palatable taste & crunchy texture. Whether you are after a soft-baked or hard-baked cookie, our Remy range of rice starches offer different texturizing properties to deliver it all. With just 1 ingredient, you can bake sugar-reduced, fibre enriched biscuits with less calories. 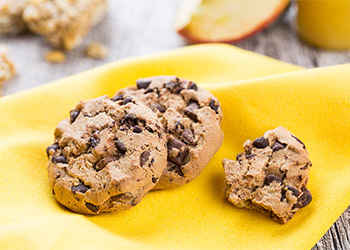 Simply replace sugar by Orafti® Inulin or Oligofructose and their texturizing properties ensure consumers happily crunch into your sweetly baked delight. Invisible fibre enrichment with Orafti® Inulin or Oligofructose. 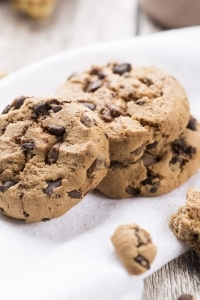 Recipe: chocolate chip cookies with Orafti® chicory root fibres. 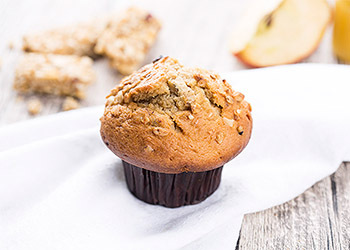 Thanks to their texturizing and sweetening effect, Orafti® Inulin and Oligofructose can partially replace sugar in your water- and fat-based bakery fillings. 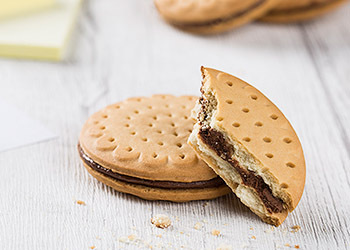 On top of reducing the sugar content levels, you can make use of the claims “Source of fibre” or ”High in fibre” with invisible Orafti® Inulin and Oligofructose in your bakery fillings; making your dessert offering just that little bit healthier. Go even a step further and make a filling with “No added sugar” thanks to BENEO’s Isomalt. As a bulk sweetener, it gives texture & pleasant sweetness to many lighter versions of the standard water-based bakery fillings. Total and saturated fat reduction in fat-based fillings with BENEO’s rice starch or Orafti® Inulin as these functional ingredients can take over the texturizing role of fat. It is important that rice starch remains uncooked. In this way, it has fat-mimicking properties because the starch granules have similar size as fat droplets. Clean label, delicious textures are possible with Remypure. Remy Rice Starch & Orafti® Inulin both have texturizing properties and can improve the creamy mouthfeel of the filling.